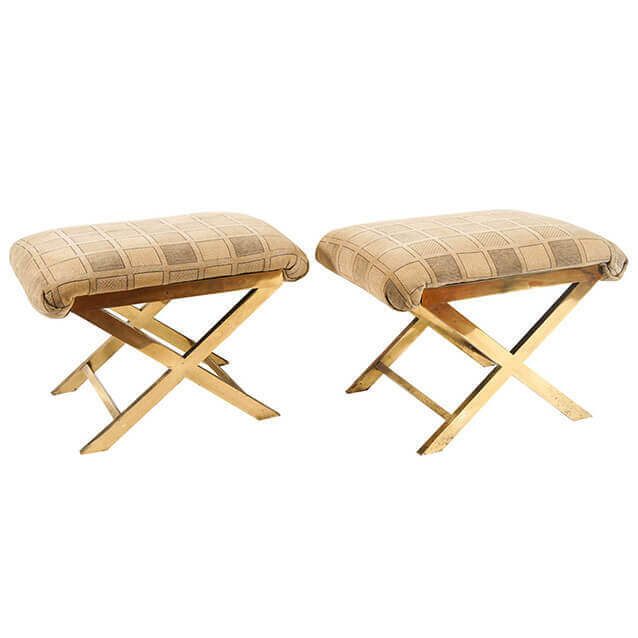 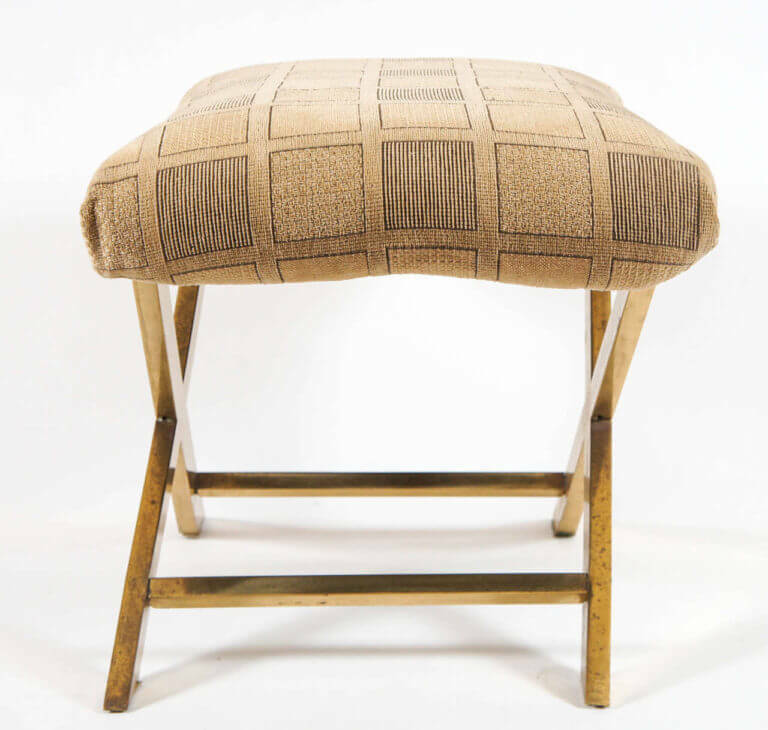 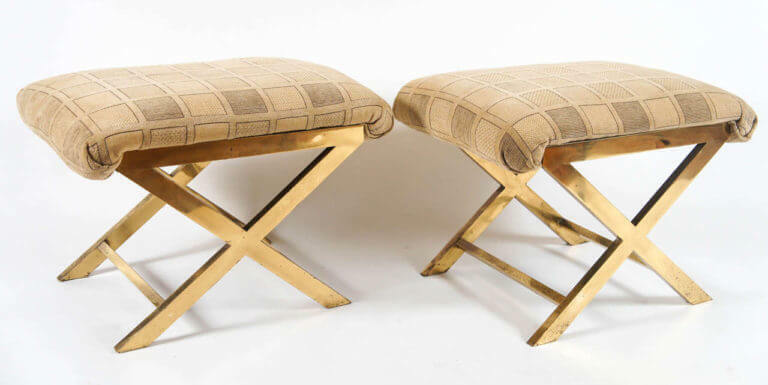 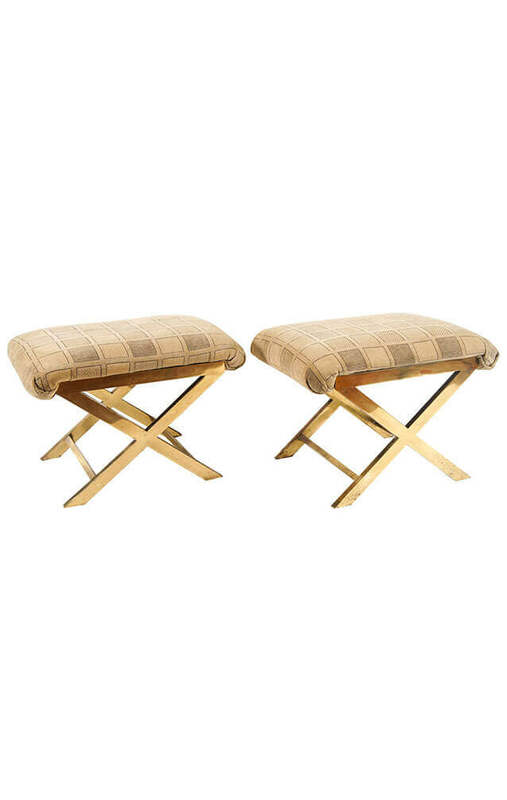 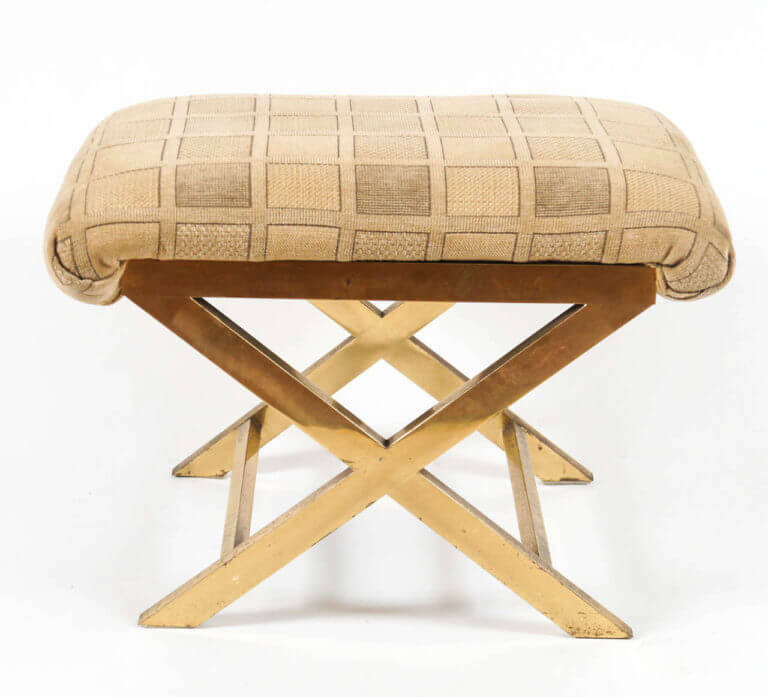 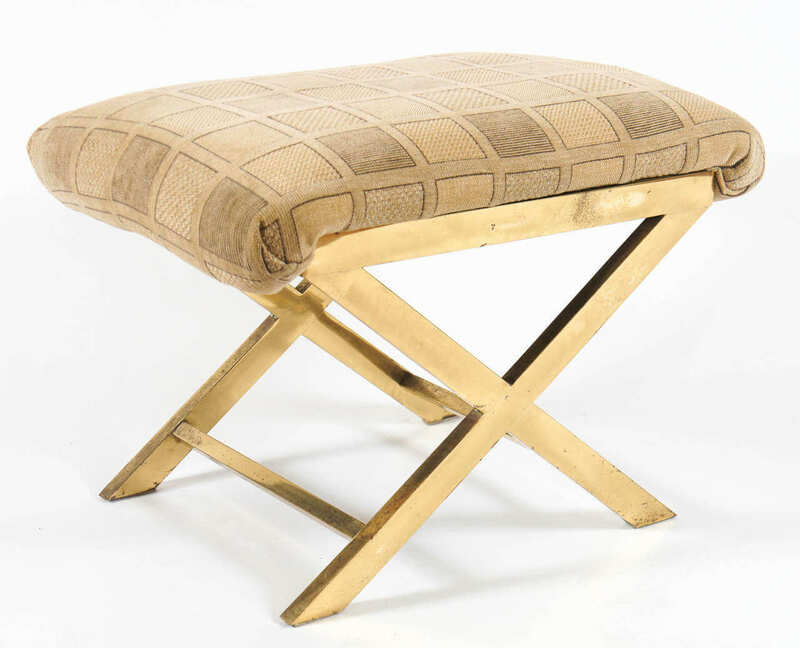 Chic pair of vintage brass-plated steel upholstered benches or stools in the style of Charles Hollis Jones. Good. 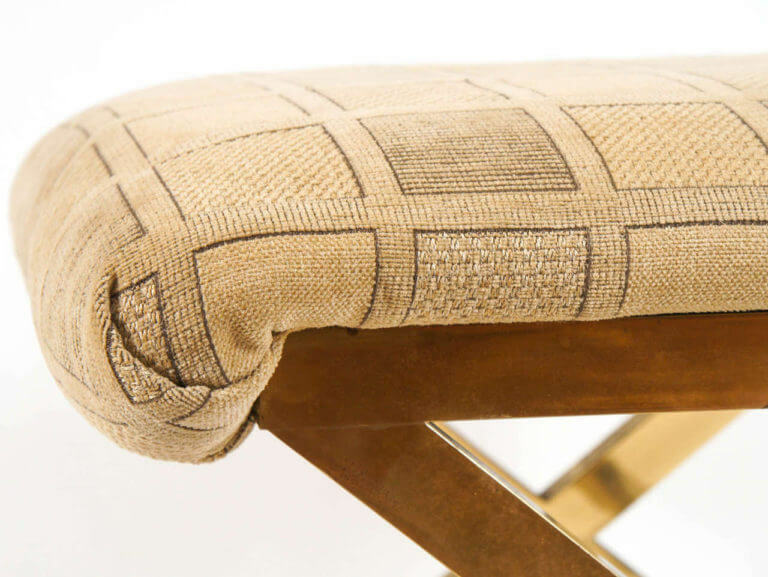 Original upholstery with wear. Scattered areas of brass patination/darkening. Condition: Good. Original upholstery with wear. 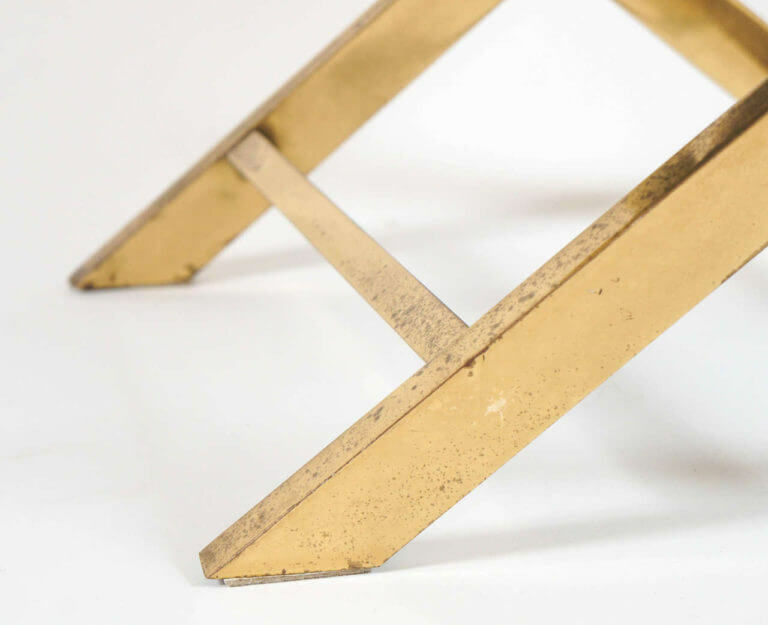 Scattered areas of brass patination/darkening.